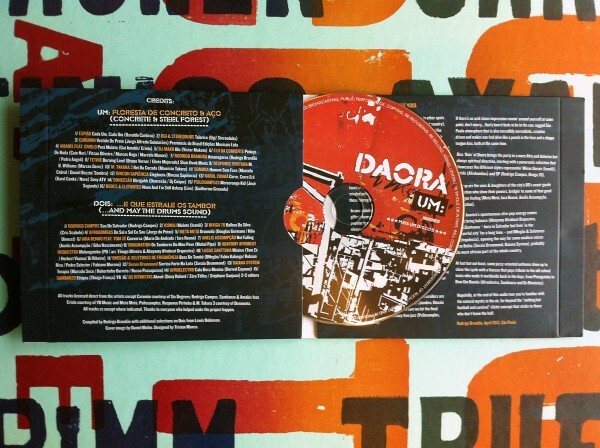 I was asked to design their latest double CD DAORA – compiled by Rodrigo Brandao. It’s a fantastic mix of what’s going on now in Urban Brazilian music. Given the nature of the music we decided to work with Sao Paulo based stencil artist Daniel Melim whose work seemed to reflect the music. With quite a lot of text to cram on the design we kept it simple with blocks of text cut-out in a fanzine style. 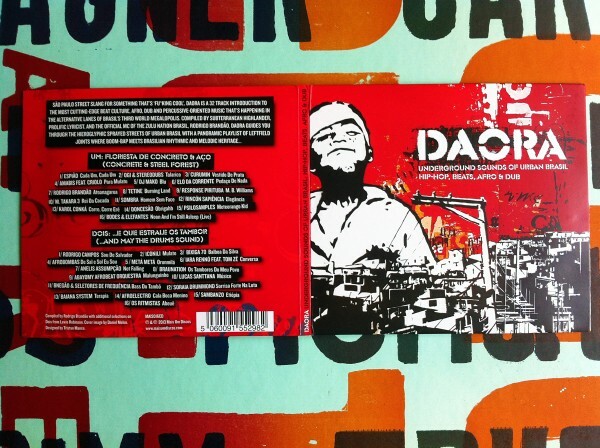 Sometime ago I assisted in their first album Oi! A Nova Musica Brasileira! – initially hooking them up with the artist Derlon and my Sao Paulo buddies Choque Cultural. So with Daora it was nice to work on a project from start to finish.